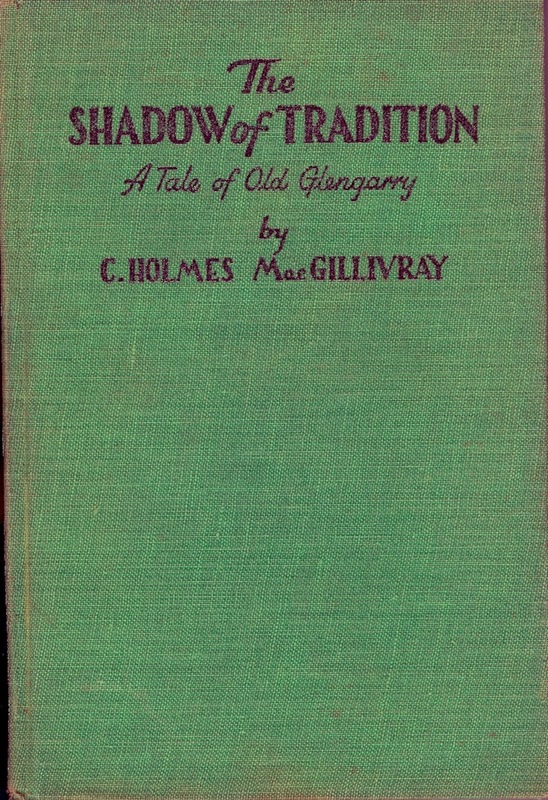 The Shadow of Tradition A Tale of Old Glengarry, published 1927, reprinted 1945 by McLelland & Stewart Limited, Toronto, Ontario. 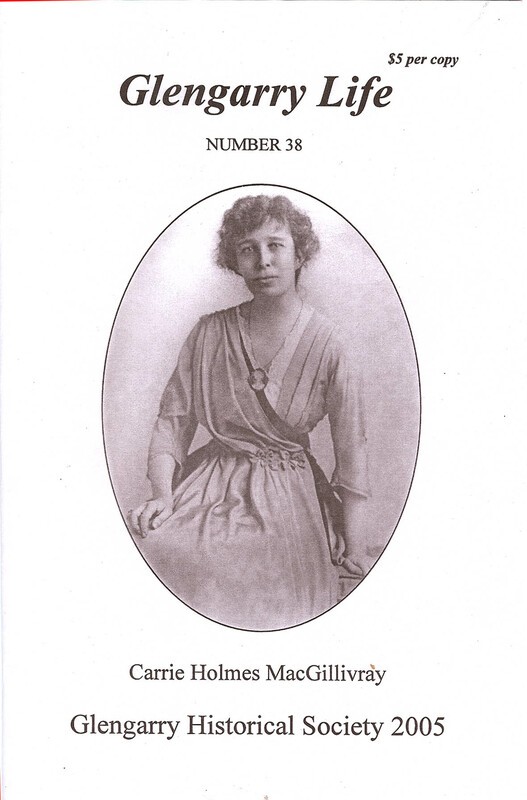 It seems like this is the only book she wrote/published? Should the viewer be interested in obtaining any of the above, check for availability with 2nd hand book stores, or Contact Alex W. Fraser as we have extra copy for sale.